I am a Lutheran pastor in the Evangelical Lutheran Church in America. I have a passion for leading the church into a deeper understanding of God’s intent for the church, the world and how the church is God’s center for mission in the world. 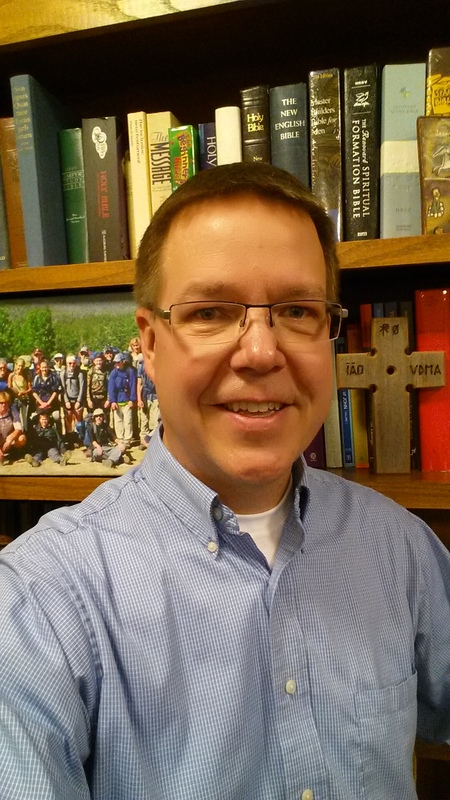 I am Senior Pastor of Christ the King Lutheran Church in Delafield, Wisconsin. My first call as an ordained pastor was to Bethlehem Lutheran Church in Ridgway, PA. Three years later I accepted a call to Halfway Creek Lutheran, rural Holmen, WI. I served as Sr. Pastor of Good Shepherd Lutheran Church in Viroqua, WI, before moving to Delafield, WI. I have also served as youth director at Como Park Lutheran Church and Our Redeemer Lutheran Church, both in St. Paul, MN. In interim capacities, I served and advised Lutheran congregations in Bradford, PA, Viroqua, WI, and Kanawha, IA, I did my internship at Epping Lutheran in Epping, North Dakota. My wife, Kim, is also a Lutheran Pastor. She serves as Director of Pastoral Care for Bethany Lutheran Homes in La Crosse, WI. Kim has embraced this role in ways not common to the traditional chaplain: she has been a integral part of management and assisted the corporation in transforming its culture by being a key leader in its goal of becoming a “Servant-Led” organization. Bethany Lutheran Homes has twelve facilities, four hundred fifty employees, and two clergy providing pastoral care to residents, family and staff. Kim and I have two high school aged sons, Paul and Sam. I am an avid fan of the Milwaukee Brewers, a stained-glass artist, and active in many community events. I have served beyond the local congregation in many ways: as a board member of Bethel Home and Services, as an active member of the Viroqua Ministerial Association, and as a member of the Viroqua Community Theatre Board. I also served as treasurer of Viroqua Club Basketball and as a member of Vernon Memorial Hospital’s Ethics Committee. In the LaCrosse Area Synod, I served as Dean for two different conferences, as a member of the Synod’s Executive Committee and Synod Council, and as an active participant and leader in the synod’s companion synod relationship with the Central Synod of the Ethiopian Evangelical Church Mekane Yesus. I am also a past member of the synod’s stewardship and communication committees. I have been a presenter at synod assemblies on the synod’s companion synod program and on congregational mission. In 2014 I completed a Doctor of Ministry Degree in congregational mission and leadership through Luther Seminary in St. Paul, MN.